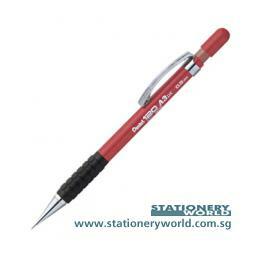 - Excellent quality writing and drawing instruments for general use on a daily basis. -Has a rubber grip for extra comfort and it is supplied with 2 super hi-polymer BG refill leads and a replaceable rubber. 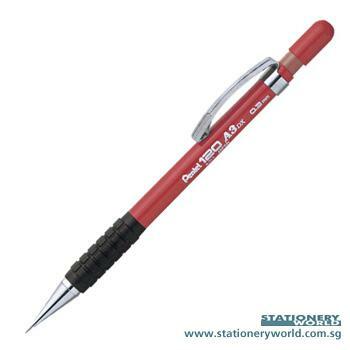 -The Pentel 120 A300 series is avalible in 4 different sizes (0.3mm, 0.5mm, 0.7mm, 0.9mm) with 4 different barrel colours.